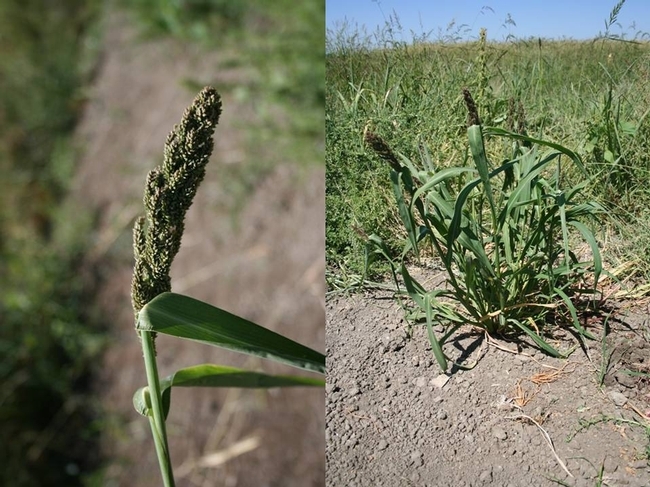 Japanese millet is not a weed of rice in our area. 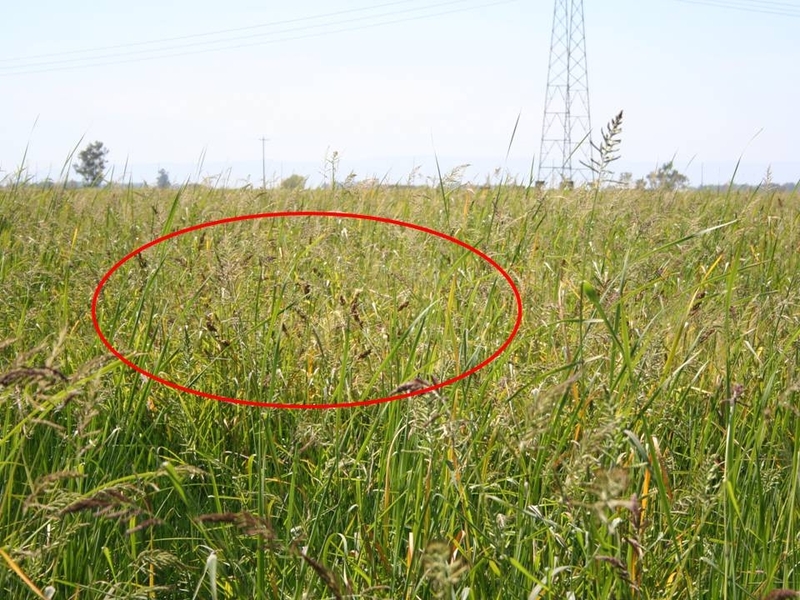 However, a PCA recently noticed it in an organic rice field. Japanese millet is in the same genus as our common watergrasses, and looks similar, but is much more robust. It seems to grow well under flooded and dry conditions. The presence of this plant in the organic rice field was puzzling. Then the PCA learned that the field had been in pasture the year before. 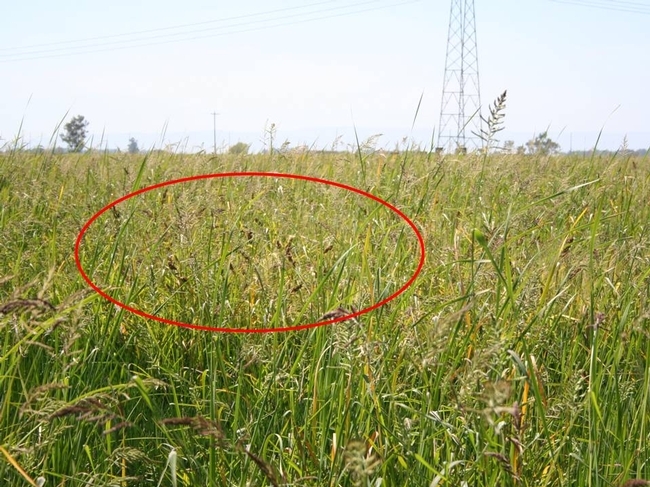 Most likely, the Japanese millet was part of the mix of grasses seeded as pasture and produced seed that survived the winter and germinated in the flooded rice field. Unusual find, hopefully we won't see it ever again!